antique and vintage papers in green and brown colors. Scrapbook your family history and bring the past back to life. 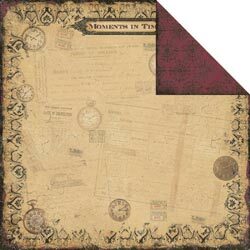 TPC Studio - Memory Lane - Sticker Sheet 12"X12"